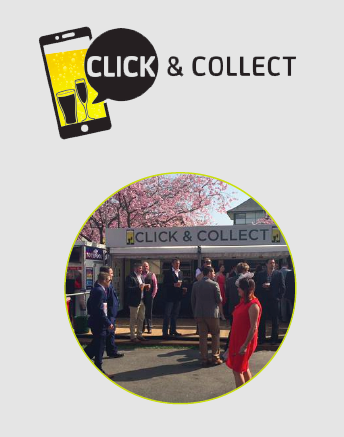 New technology met with tradition at the Grand National this year, with BPL Digital and Localz partnering to prompt visitors to use Grand National Fast Track, jump the queue and order drinks from their mobile phone. One of the biggest challenges at any large event, is how to keep visitors fed and watered. It seems an almost impossible task to remove the ever present queues. How can visitors order drinks without having to go to the bar and wait in line? The first thought is to have wait staff serving drinks to visitors, but this is a huge overhead, and impractical at large events and venues. Enter BPL Digital. 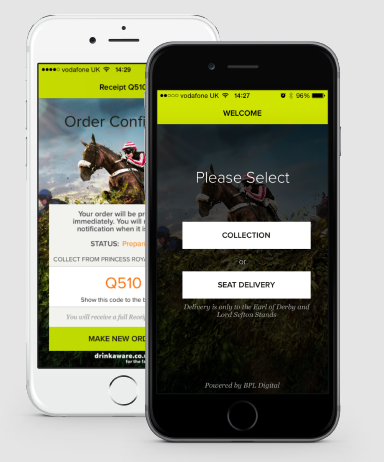 BPL Digital worked with the Grand National to provide an app, that enabled visitors to order and pay for food and drinks through their smart phone. Visitors could then pick up their drinks from a collection point, removing the need for a slow moving queue. Visitors no longer had to wait while bar staff poured the drinks for each person ahead of them, but could simply pick up their drinks when they were ready. A great idea, for sure. But how would visitors know about this new app? And would they remember to use it in the hustle, bustle and excitement of the Grand National? “This is where Localz was able to help,” said Ben Floyd, CEO, BPL Digital. “We met the Localz team as fellow members of the PayPal Start Tank. We were chatting with them about how we could let people know about the BPL Digital app while they were actually at the Grand National, ready to buy a drink. We wanted something simple and non-intrusive, that enabled visitors to quickly and easily engage with the app. Using beacons was a great solution.” By placing beacons at key points near the entrance to bar areas, Localz was able to prompt visitors with a message, inviting them to use the app. 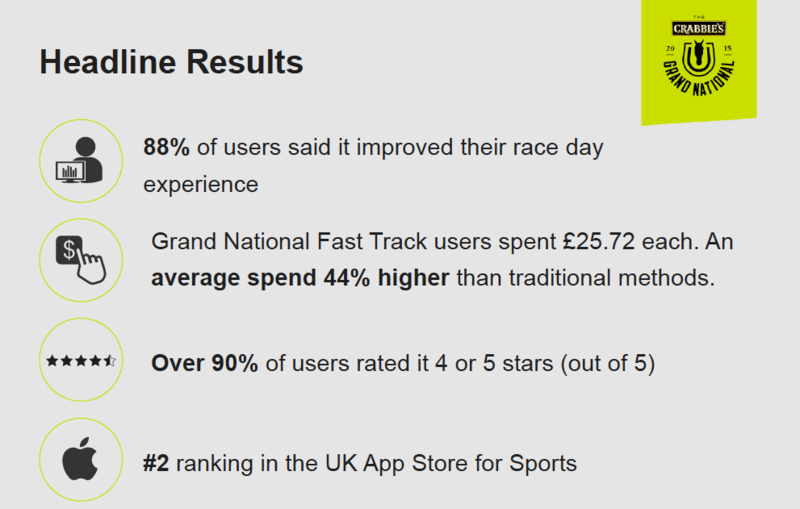 With the success of the partnership at the Grand National, BPL Digital and Localz are working together to enhance more BPL Digital customer experiences with beacon technology. Who knows? With time, bar queues may be a thing of the past.